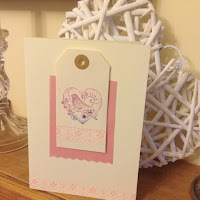 Basic stamped label card, this one if for my parents wedding anniversary but could easily be used for another celebration. 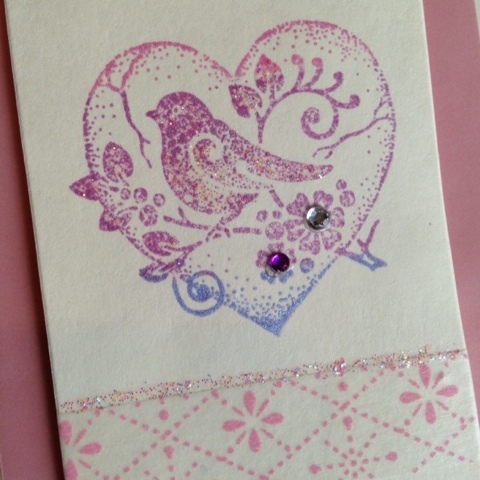 Added a bit of washi tape and velum to pretty it up. The nozzle on my glitter glue was a bit large so I painted it on with a brush, this worked much better than I expected and I think I will try that again! 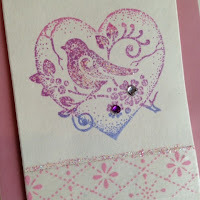 The card looks really pretty and love the stamp. 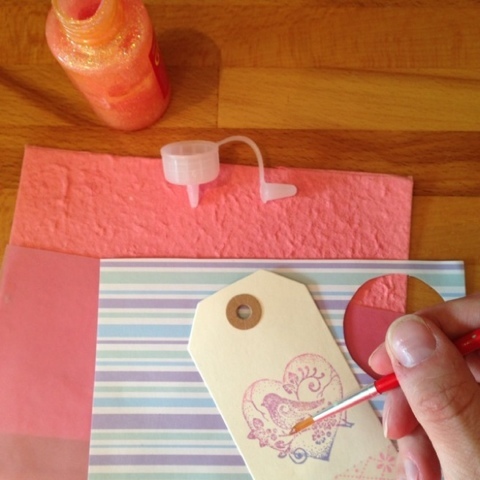 Thanks so much, it's been lovely doing some crafting this past week.